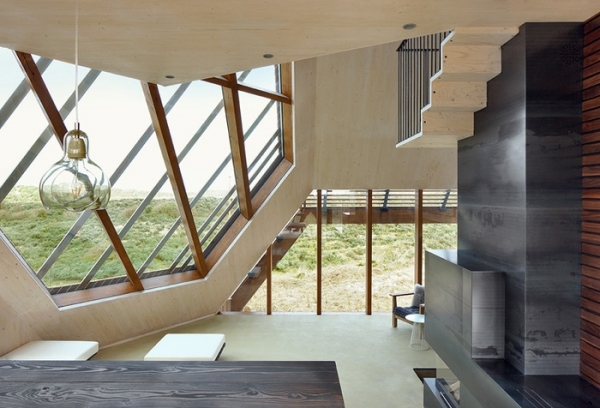 Instead of predictably engaging with the natural landscape, the Dune House slowly and sensually unravels into it, creating a multitude of dialogues between the built and the unbuilt. 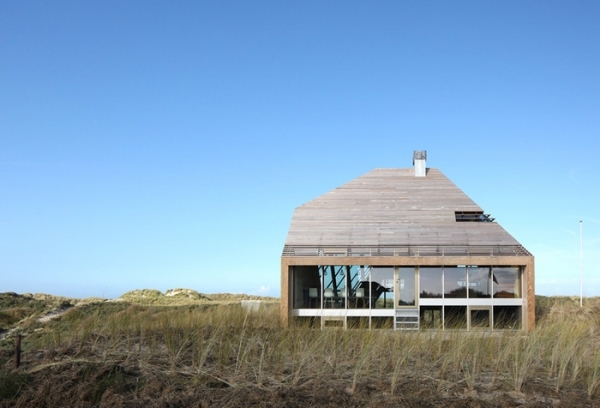 Marc Koehler Architects draw from the timeless vocabulary of sand dunes, and the vernacular structures that lie embedded into them, to create a modernist reinterpretation on the coastlines of the North Sea. 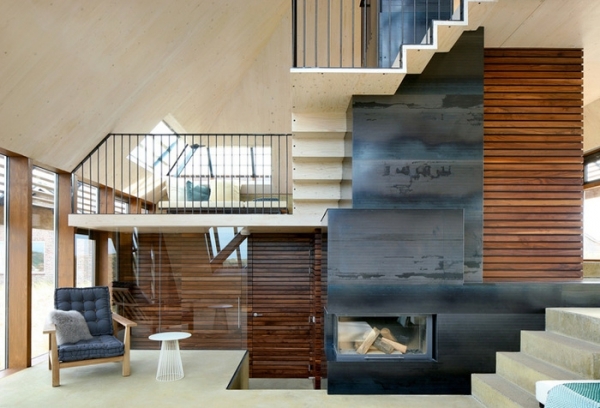 Located on the Dutch island of Terschelling, the architecture and contemporary house interiors of this private residence stand in vivid contrast with the surround, yet strike a balance with it through gestures subtle and stark. 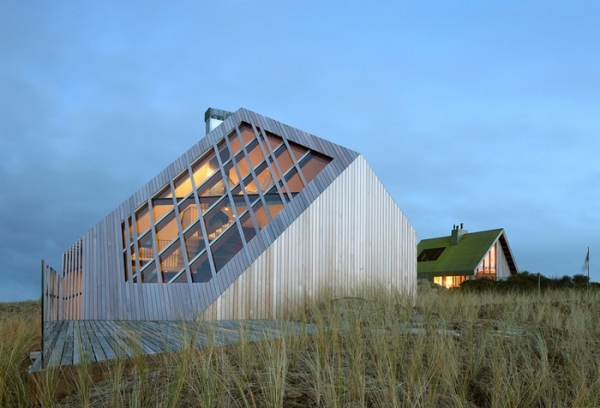 Built into the natural topography, the house rises out of the coastal landscape instead of simply perching atop it. 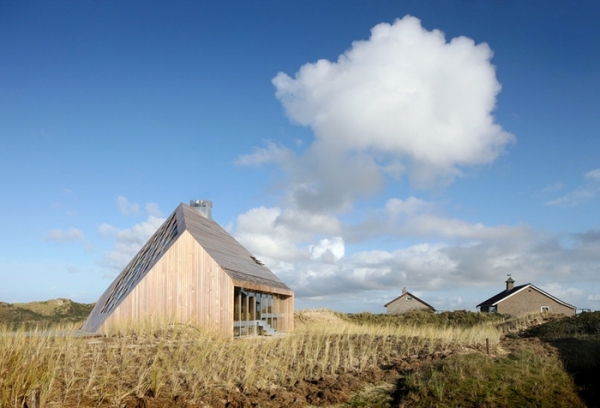 Cloaked in the traditional vocabulary of the region – a move driven by local regulations- the design uses features such as a pitched profile and turtle roof to soften the impact of its unbridled ambition. 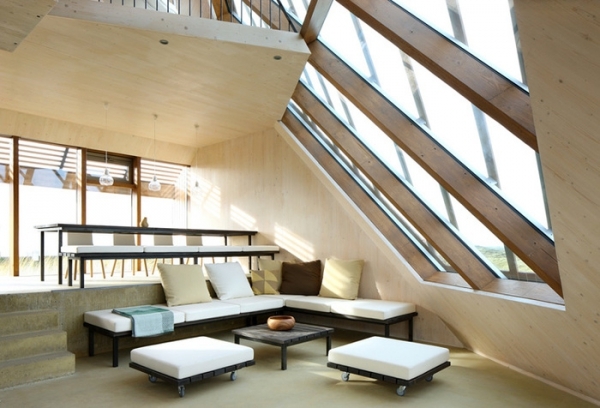 Further, a wooden cross laminated structure and wooden roofing system, bio fuel central heating and a host of ecological materials reduce its carbon footprint. But within its constraints, the design swirls into an industrious arrangement of space, function, idea and aesthetic, drawn out into spiral movements around a central core. The contemporary house interiors are articulated into a series of shifting levels that draw up and down the central space, step upon step. 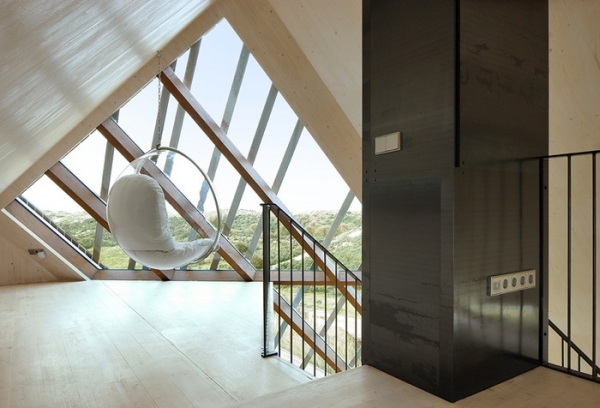 Each step offers its own connection between its minimalist interior and the landscape beyond it, inviting you to pause and realign. Social areas such as the living and dining are placed on the upper levels, while more private aspects such as the bedrooms are burrowed below ground.